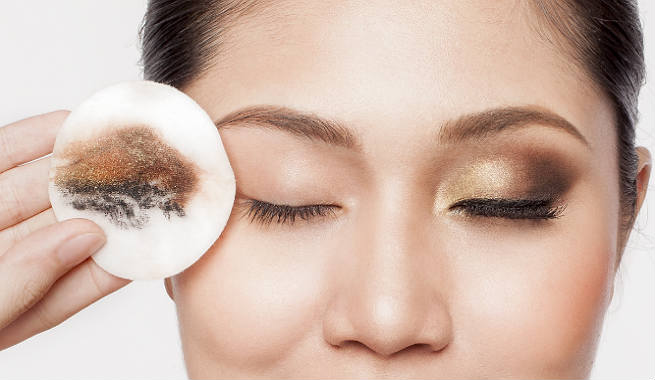 These 3 makeup remover recipes are super easy to make, won’t break the bank, and will leave your skin squeaky clean removing all traces of makeup, dirt, and gunk! Makeup can be a lot of fun to apply and play around with given all the different colors, shades, and types of products available. But when it comes to removing it after a whole day of it sitting on our skin, that can be a total nightmare. And most products that are targeted toward makeup removal contain a whole sleu of ingredients that only do us harm. So skip the nightmare of makeup removal and toxic ingredients with these 3 DIY makeup remover recipes! Combine all ingredients in a glass jar and seal tightly. Vigorously shake the jar until all contents are well mixed. Dip a cotton ball or wipe into the jar and let it completely soak. Then gently rub over the face until all makeup is removed and your true beautiful self is revealed! Rinse with lukewarm water and again with cool water and pat dry. If you’re in a pinch and need something less complicated, with less ingredients but still effective and beneficial, try this simple apple cider vinegar tonic to restore skin’s natural pH balance and remove makeup and dirt. First bring the water to a boil and allow the green tea bag to steep for 15-20 minutes. Then put the tea in the fridge until chilled. Next combine the green tea and the apple cider vinegar in a glass jar and seal tightly. Give the jar a gentle shake so the two liquids are well mixed. Dip a cotton ball or wipe into the jar and let it completely soak. Then gently rub over the face until all makeup is removed and your true beautiful self is revealed! Another super easy way to remove makeup and dirt while not having to buy expensive products at the store is a simple honey, baking soda combo. The baking soda exfoliates and pulls away makeup and oil build-up while honey nourishes the newly exposed skin. After rinsing your face with lukewarm water, use your hands to rub the honey and baking soda together then gently apply to the face. 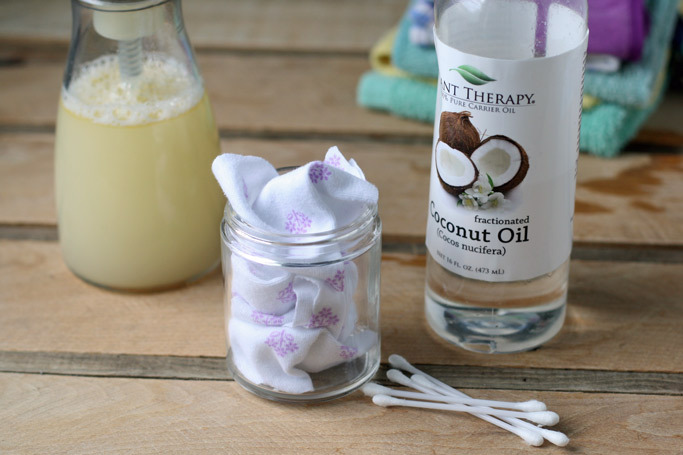 Soak a wash cloth in warm water and use that to remove the honey, baking soda mask and makeup and dirt along with it! Because baking soda can dry the skin, be sure to moisturize after with a light oil such as almond or jojoba.